The nature lovers will get a glimpse of some rare wild animals and birds in their natural habitats. 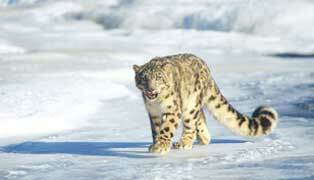 Ladakh is a rough area where only the fittest animal and plant life survives. 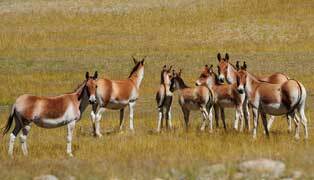 Although the environment is harsh, it boasts of a bounty of wildlife, endemic to this region. Its exotic highland flora springs up in the summer and engulfs the landscape in various colours. 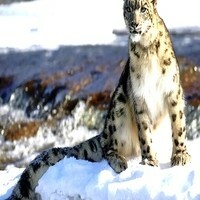 The fearsome predators include the elusive snow leopard, lynx, mighty brown bear, Shanko or wolf, fox and wild dog. The herbivores include the wild yak, the kiang, marmot, wild hare, niyan marcopolo ship, shapo, bharal ibex marcher, goat and the chirru, now almost hunted to extinction for its downy under coat worth its weight in gold for the shatoosh shawls made from it. Ladakh is also home to some beautiful and rear birds like the critically endangered black necked crane. Bar headed geese, woodpeckers, ducks, partridges, barbets, kingfishers, parakeets, swifts eagle, owls to name a few are some birds commonly seen in Ladakh. This rich rather exclusive wildlife however, is severely threatened by habitat loss and poaching.